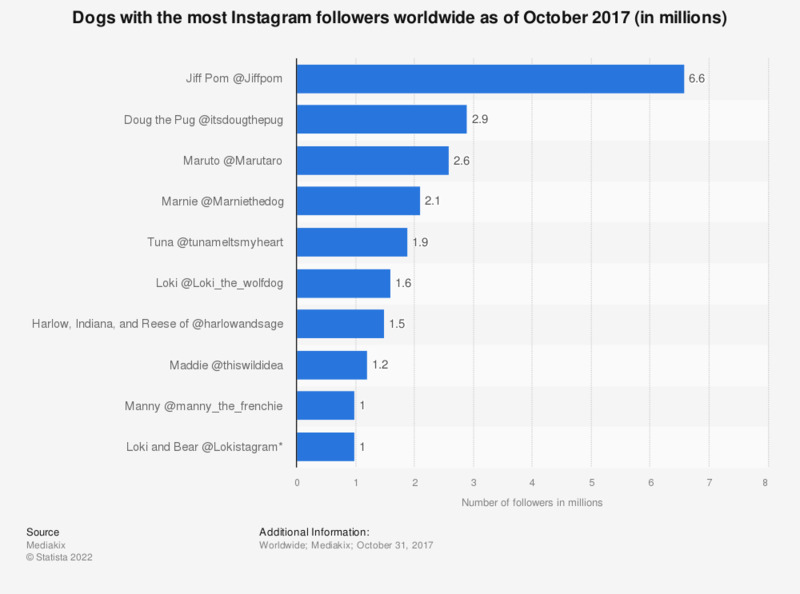 This statistic presents a ranking of the most popular dogs on Instagram as of October 2017, sorted by the highest numbers of followers. Pomeranian Jiff Pom was the most-followed dog on the photo sharing app platform with 6.6 million followers. *Originally Loki, a Corgi based in Vancouver, was the star of @lokistagram. Sadly, he passed away in 2016 and his owners Tim and Viv adopted a rescue dog named Bear. Today Loki’s Instagram celebrates both his life and the adoption of the couple’s new dog.